My wife came home the other day and asked what I was listening to. It was just before Christmas, and our tree was sparkling. 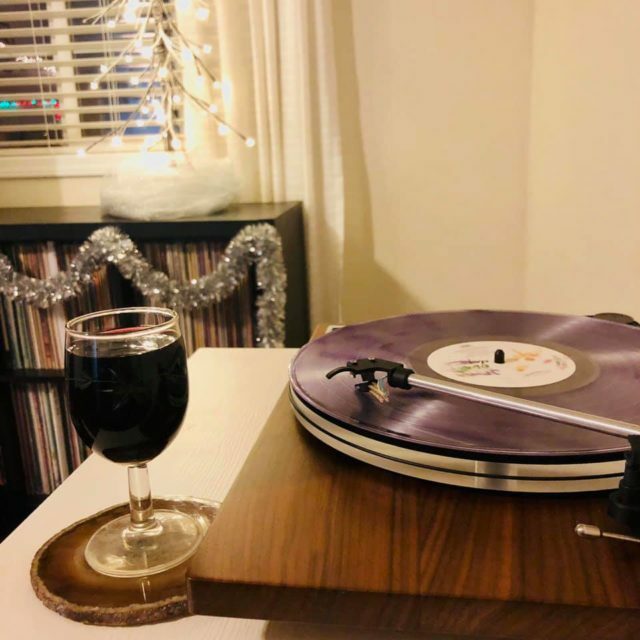 I had a glass of red wine resting near my record player. 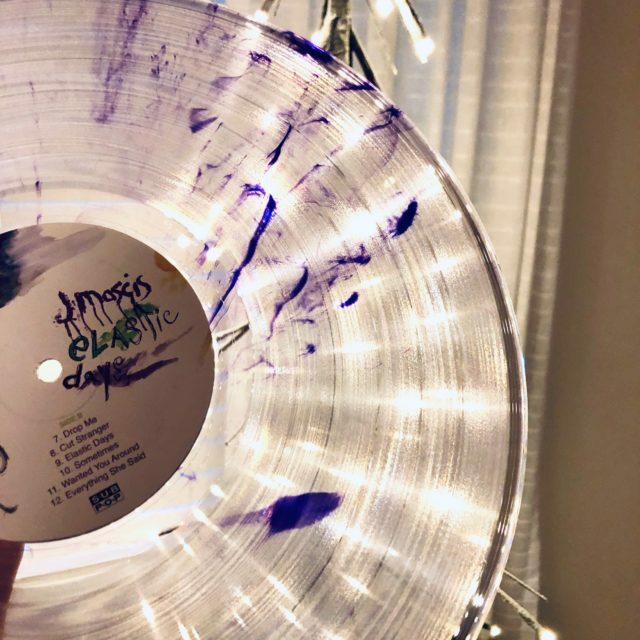 The white twinkle of the lights and the red of the wine perfectly matched the LOSER EDITION’s purple and clear color vinyl on the turntable. “The new album by J Mascis from Dinosaur Jr.” I replied. My wife is not a fan of 90s grunge; she grew up listening to the more pop and electronic side of that decade whereas I was often found in ripped jeans and unkempt flannel shirts, long red hair hanging past my shoulders to my parents’ neverending dismay. Perhaps more than any of the grunge artists of the 90s, J Mascis and Dinosaur Jr. drew upon emotion in creating music and writing songs, most recognizably on songs like “Get Me” (Where You Been, 1992) and “Feel the Pain” (Without a Sound, 1994). These emotional pathways are most present in Mascis’s folk-rock solo work, the third release of which came out back in November on Sub Pop. But their lineage is blatantly clear. Take those now 25-year-old songs and strip away some of the electricity and take the volume down a notch or two, and you essentially have the sound Mascis creates under his own name. You know, plus an additional 25 years of experience. 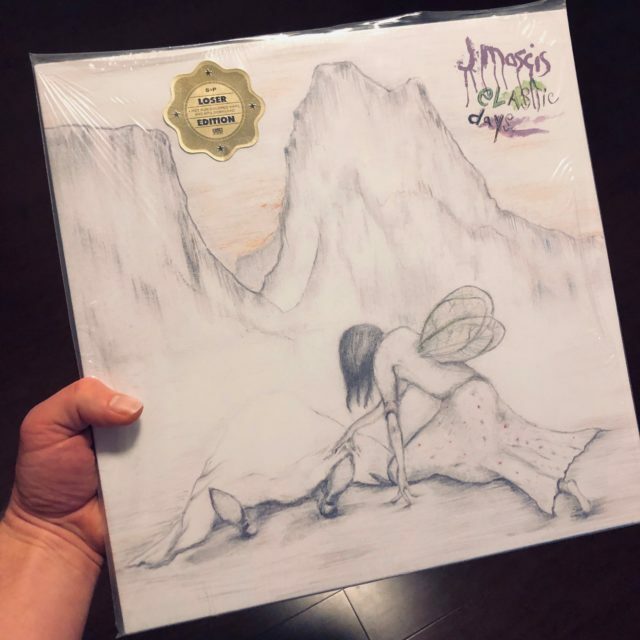 This more minimalistic approach to the grunge Mascis creates in Dinosaur Jr. allows greater levels of freedom to explore and control that which is in his head. And it’s mirrored in the somewhat minimal Elastic Days cover art on. A simple sketch with only slight traces of color here and there. About a month prior to this album being released, I did an intense internal exploration of self, identity, and personality. I discovered that I have the INFP Myers-Briggs personality style, which is accompanied by a brain that refuses to turn off. In fact, in at number 2 on Introvert, Dear’s list of 19 Signs That You’re an INFP is the INFP’s “Rich Inner World.” This includes getting lost in thought, playing out storylines and hypotheticals, and developing our own little fantasy realities of what might be or what might have been. I wonder if J Mascis is INFP, too. “See You at the Movies” pulls up many of these sensibilities, painting on a rich inner world, compartmentalizing emotions, and expanding upon a deeply-rooted sense of isolation and introversion. It’s not a bad thing, as almost any introvert would tell you. “See You at the Movies” is, by far, my favorite music video of 2018, though to be honest I didn’t devour as many videos as I could have last year by any means. Still, I find it entirely relatable, well beyond connecting with it personally. Overall, Elastic Days holds up quite well when compared to Mascis’s other solo work, especially Tied to a Star. It even rings true when expanded to encompass his work at the helm of Dinosaur Jr. through albums like Without a Sound and I Bet on Sky. This decades-long career has served J Mascis well. His unique style compliments the original grunge era, yet he lends his own take to it. With a plethora of guitar solos, of course, in the most J Mascis way possible. It only seemed inevitable that it would morph into a softer sound with fewer moving parts, capitalizing on the introspective and emotive nature of his songwriting style. I don’t think I have the bandwidth to rank Elastic Days amidst the vast repertoire of Mascis’s work, but I can say that I thoroughly enjoy its every moment. And it makes me want to dive further into the albums I have yet to ingest by Dinosaur Jr.